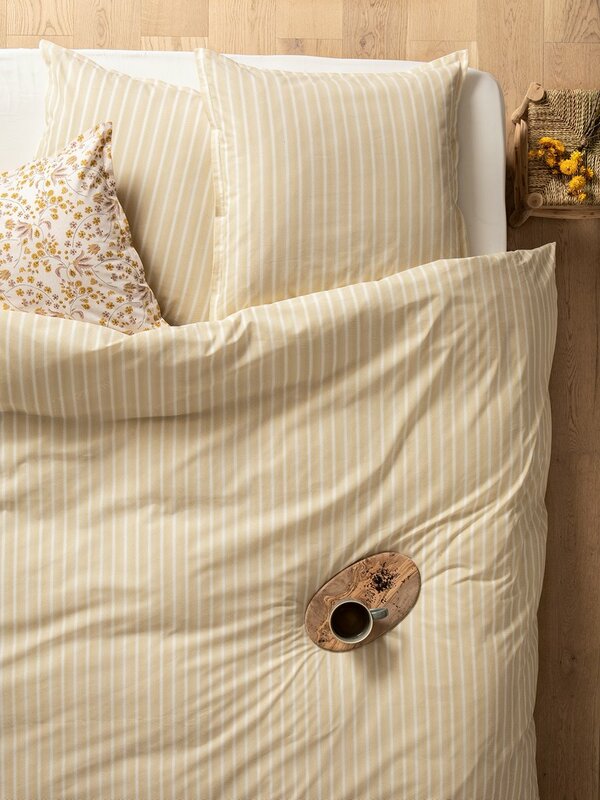 You'll see a certain plant influence in this bed set or maybe a graphic inspiration. 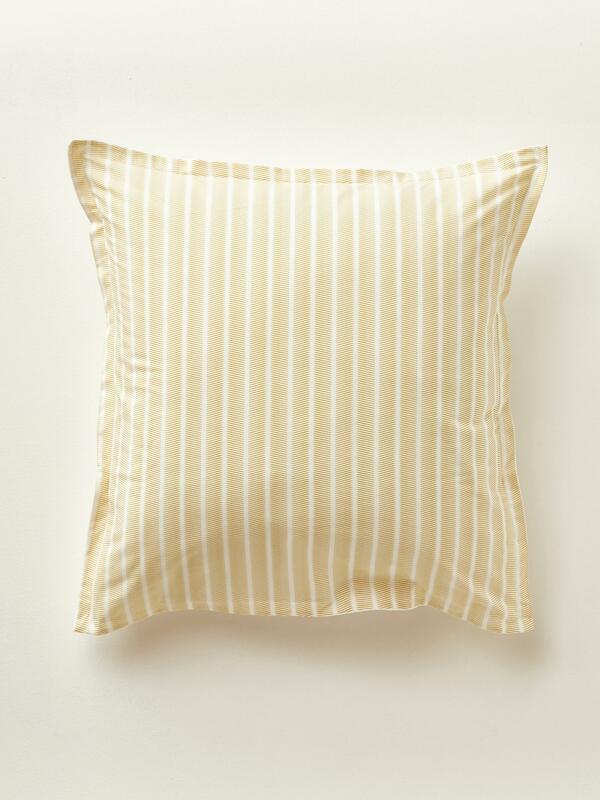 What's certain is that this almost stripe print exudes soft freshness. Cyrillus Creation. Same front and back. Pillowcase with 20cm flap and 2cm flat frill. Machine washable at 40°C. Made in Portugal. Voile is a lightweight fabric with an especially soft feel as its threads are of higher quality than percale. The fabric has a specific pre-treatment as well as a finish which makes it very supple without losing its durability and feel.